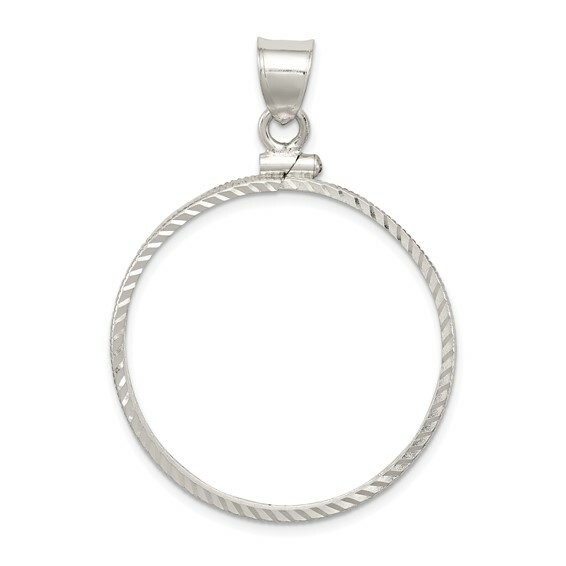 Half dollar diamond-cut coin bezel pendant is made of polished sterling silver. Dimensions: 30.5mm x 2.1mm. Weight:1.75 grams. This item accommodates a US half dollar coin. Coin not included. I loved my bezel pendant. thank you. I needed to put a 1946 coin given to me.